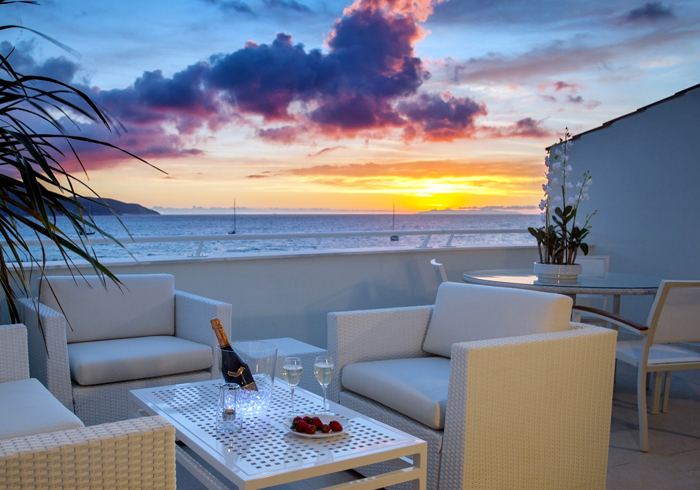 If you are looking for the best Elba island villas in order to find the ideal location for a wedding or other relevant event, Baia Bianca Suites is there for you to create customized celebrations in an elegant and refined environment, where nothing is left to chance. Our Tuscany holiday villas, an oasis of peace and relax to decorate and design together with our wedding planner and make this important day and its celebration an absolute success. 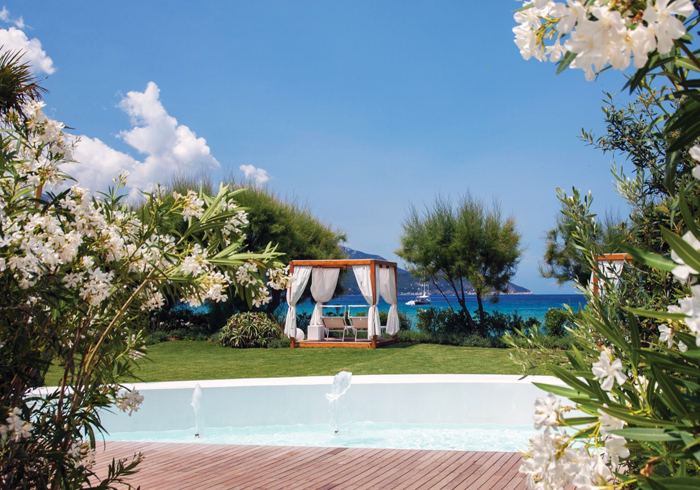 Celebrate your dreamlike day on the finest beach of the Elba island (or even underwater! 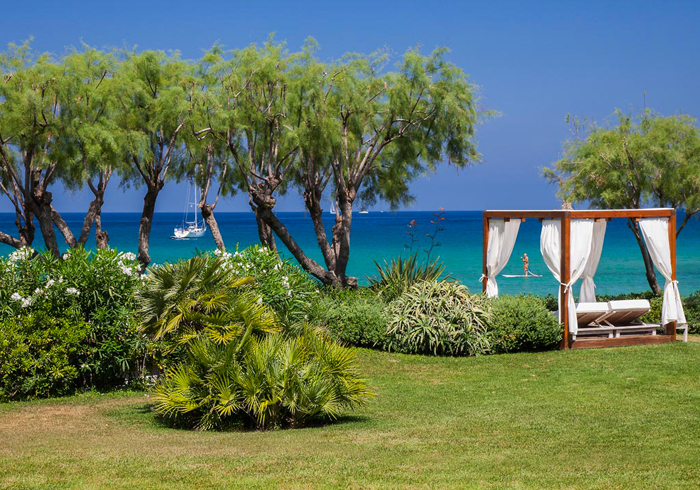 ), the green meadows that surround our resort are ready to host special events of your life and the interior spaces can be decorated as you prefer. Our staff is always ready to help and make your party just stunning. The setting of our resort combined with the natural context will be an excellent scenery to welcome your guests and enjoy the sunset panorama the Gulf of Biodola. Book these luxury spaces for presentations, business occasions and meetings, team building, ceremonies, parties, anniversaries or any other occurrence. Our modern villas for rent are at your complete disposal! 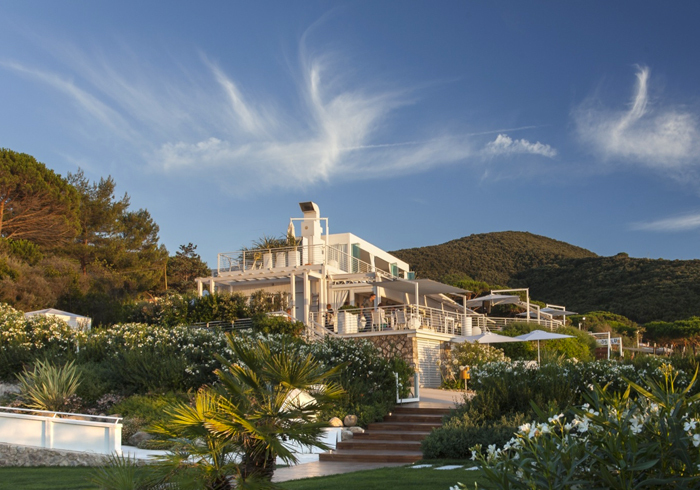 A prestigious and moderate atmosphere of the old mansions of Elba is performed here in with an innovative concept. Our B. Bistrot restaurant will enhance any occasion thanks to its menu ad hoc formed by delicious food and sophisticated dishes, skillfully blending traditional local flavors with touches of international cuisine. Our chef will fulfill your desires to perform a real gourmet feast.